KANSAS CITY (WBRC) - The Auburn men’s basketball team has a tradition that involves egg rolls and fried rice. Auburn, which has won 11 games in a row, eats hibachi for dinner the night before a game. It’s a tradition the Tigers believe helps them win. “It’s a tradition that we started this year. We just noticed the games we won, we ate hibachi the night before. 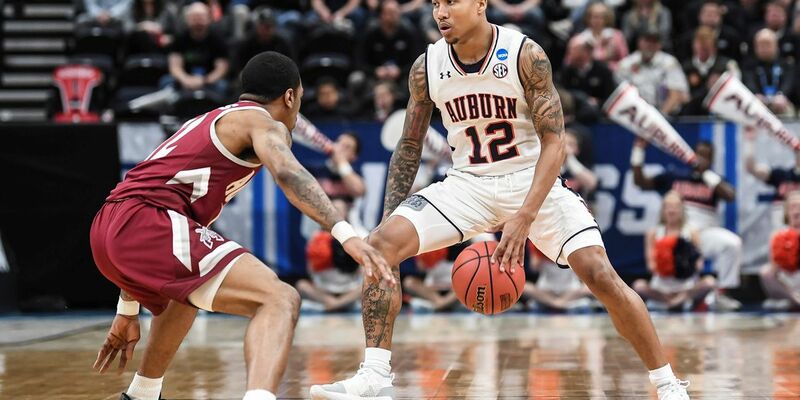 Ever since we lost to Kentucky, we’ve been eating hibachi the night before a game and we win,” said Auburn guard Bryce Brown. "It's so bad now. We do it before every game. It's a great tradition, we like it and love it, and we beat teams after we eat hibachi," said Auburn forward Danjel Purifoy. Auburn will play Kentucky Sunday at 1:20 p.m. at the Sprint Center in Kansas City in the Elite 8.